Now is the time to speak up or we might end up with overcrowded schools and less resources for staff and students. 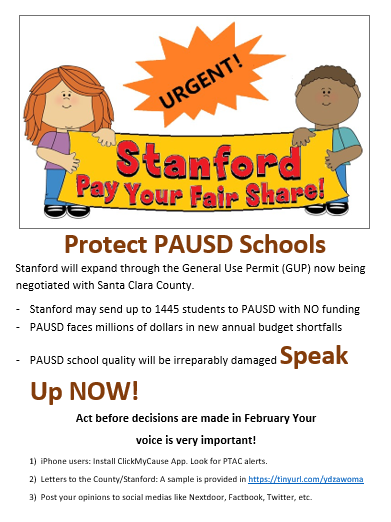 Please help PAUSD parents and staff know how the Stanford General Use Permit (GUP) could impact our schools. What we do now will have an impact for many years to come! 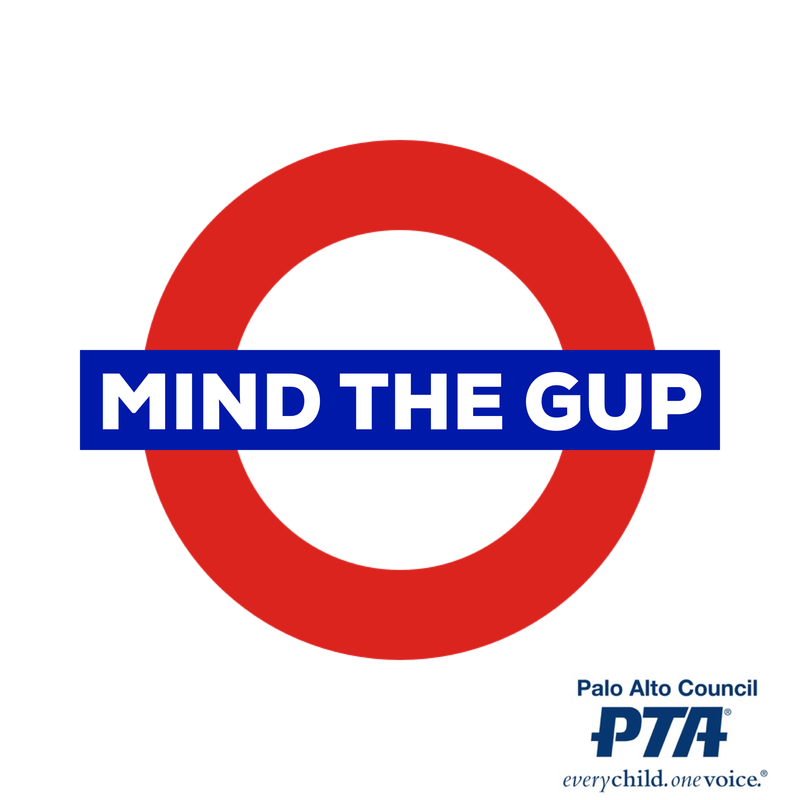 Looking for a summer camp in your neighborhood or at one of our Palo Alto Unified school sites? 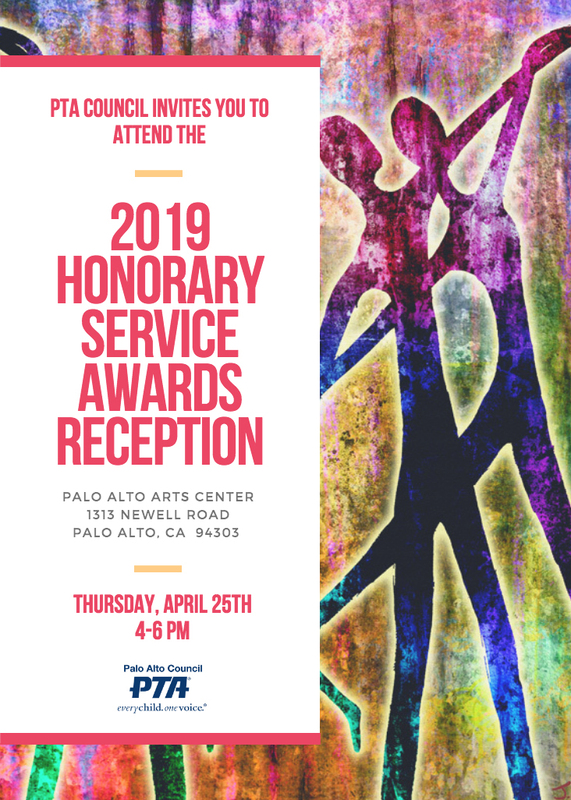 Now you can find it right here on our website! Visit our Summer Camps page. 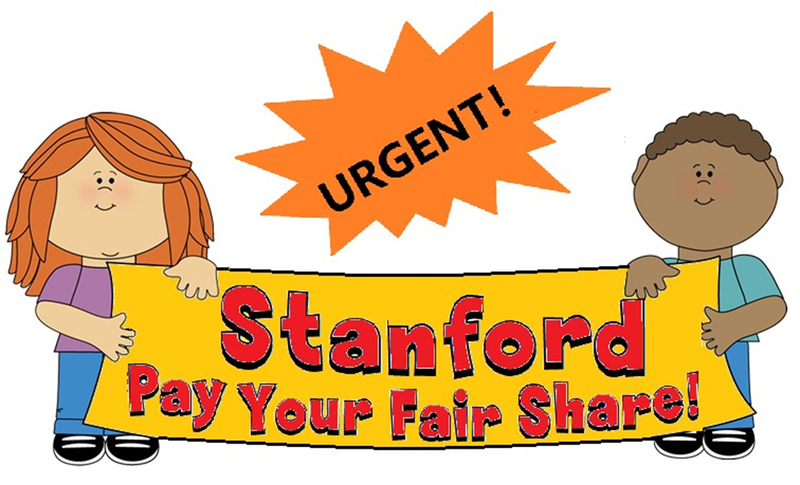 SHARE THE COST RALLY: THANK YOU FOR YOUR SUPPORT!